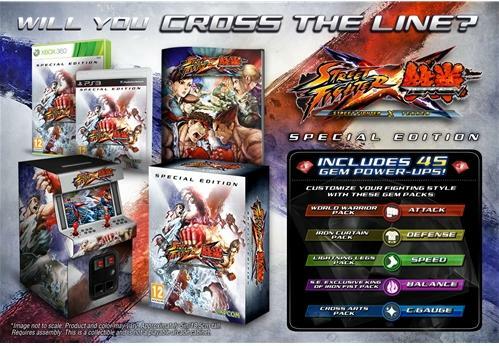 Street Fighter X Tekken will get a special edition soon, and I have to say it looks pretty awesome. The packaging is fantastic and contains an arcade cabinet styled money box, as you can see in the above picture. The game will be released on March 9th for the PS3 and Xbox 360. It will be published by Capcom.